A big thank you to Miss Prudencio-Aponte’s Year 12 tutor group for organising our fantastic International Day celebrations! The Sixth Formers took on the project for the CAS element of their IB Diploma, organising the day to raise funds for Plan International, a development and humanitarian organisation that advances children’s rights and equality for girls. Pupils across the Senior School and Sixth Form dressed up in outfits inspired by flags from around the world, with many choosing to represent their home country. With 32 different nationalities at St Leonards this year, there were plenty of colourful costumes around the grounds! 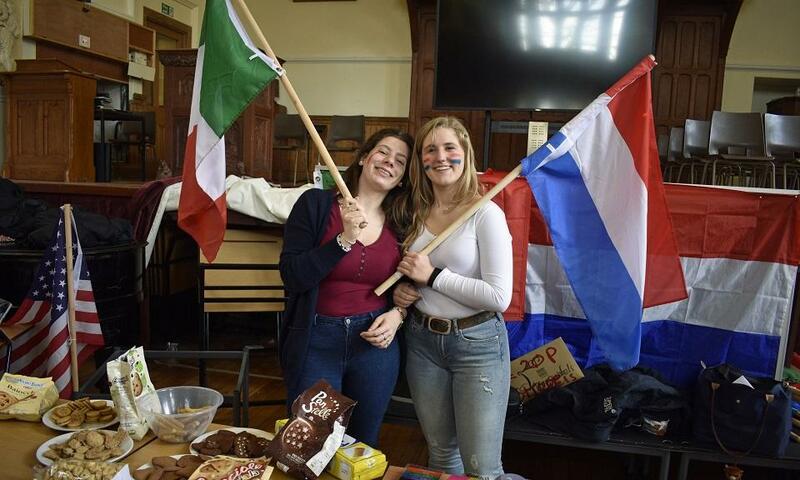 The highlight was the bustling International Fair, held in the afternoon in the School Hall. Pupils set up stalls to showcase food, drink and traditions from different cultures, from Spain to Germany, Slovakia, India, Poland, the USA and Burkina Faso. The Year 6 & 7 pupils from the upper end of the Junior School were invited to join in the celebrations and had an opportunity to browse the stands alongside Senior School students. Thank you to everyone who participated in International Day and helped to make it such a successful event. We are thrilled to announce that an impressive £702.92 was raised for Plan International! 'Being at a school which is as international as St Leonards is an incredible privilege. Interacting with such a wide range of cultures is an opportunity that many people may never have, and as such, is one that should be celebrated. 'When our tutor group decided to organise this event, we knew that it would be a demanding project. It required commitment, perseverance and hard work from all of us. As part of 'International Day', we set up both a non-uniform day, for traditional and national clothing, and a fair, at which students presented their own cultures to the rest of the school, whilst being able to experience other people's nationalities as well.